It has been more than a month since the last Graphic Design update.. 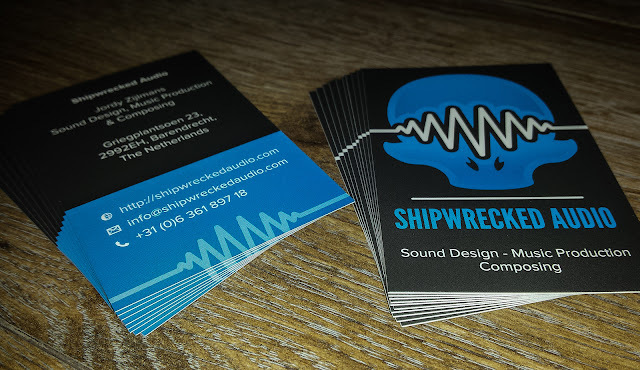 So I'm kinda proud to upload a new business card. I've did some work for Shipwrecked in the past, but Jordy got a new logo design done. Really refreshing, but that means there got to be a new business card. We decided that the logo came out best in the portrait version, so we got it printed that way. Enjoy! Oh, and don't forget to check out the Shipwrecked Audio website! Click for a HQ picture!